HA-Lizard is a high quality, open source project that provides high availability software solutions for the Citrix XenServer™ virtualization management platform. HA-Lizard provides High Availability and Redundancy for two node clusters utilizing internal storage and/or drives. This Hyperconvergence solution is not found in Citrix XenServer™ and the few solutions available are either complicated, feature challenged or expensive. The software is designed to be light weight with no compromise of system stability. In addition, there are no dependencies to interfere with pool stability or add complex software pacakges. HA-Lizard is software design and technical detail you expect from a leading high availability and redundancy solution. With so many requests for support of high availability of Xenserver and Xen Cloud Platform with 2 hosts, we designed new software to make HA-Lizard even better! 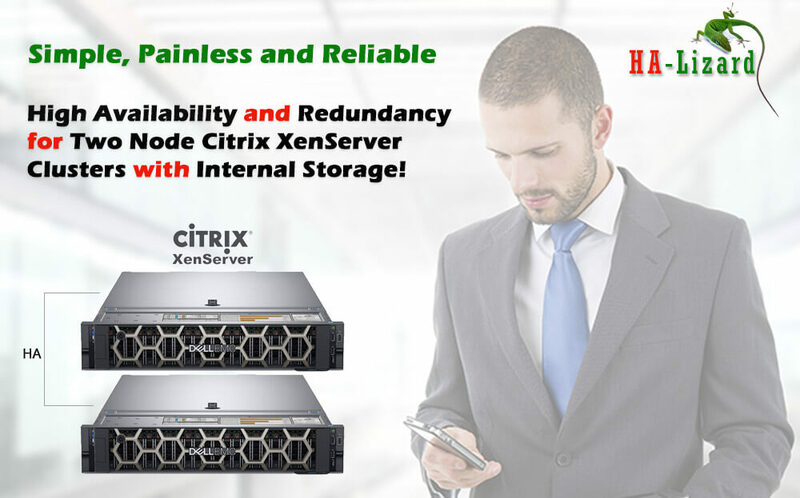 HA-ISCSI is an add-on module for two node pools utilizing Xen Cloud Platform (XCP) or XenServer virtualization environments. It is intended to build highly available two-node clusters with local storage without limiting pool advanced functionality such as live migration.